The team that brought you Arizona Sunshine puts armies at your virtual fingertips later this month. Starting March 26th, put the power of a full army – even dragons – at your fingertips and conquer the VR battlefield as Skyworld launches on PlayStation VR! 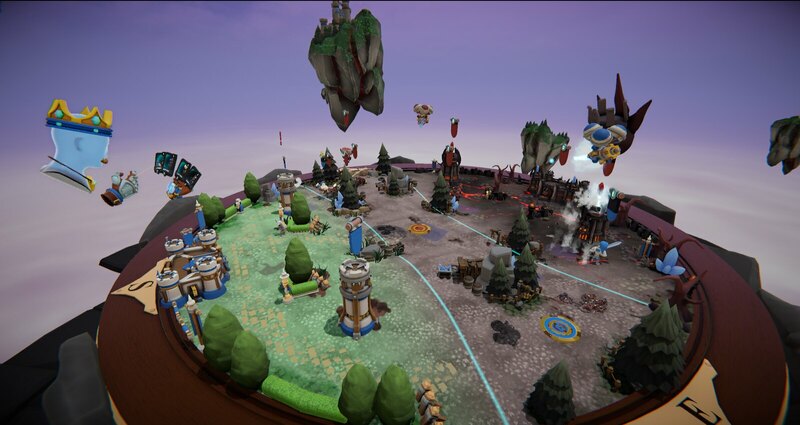 Skyworld is a VR wargame from the same team that brought you Arizona Sunshine. This time, we’re putting you at the helm of a kingdom at war in VR. Build your army from a huge variety of units – from snipers to siege tanks and flying fortresses – conquer all worlds and wage war against friends online! 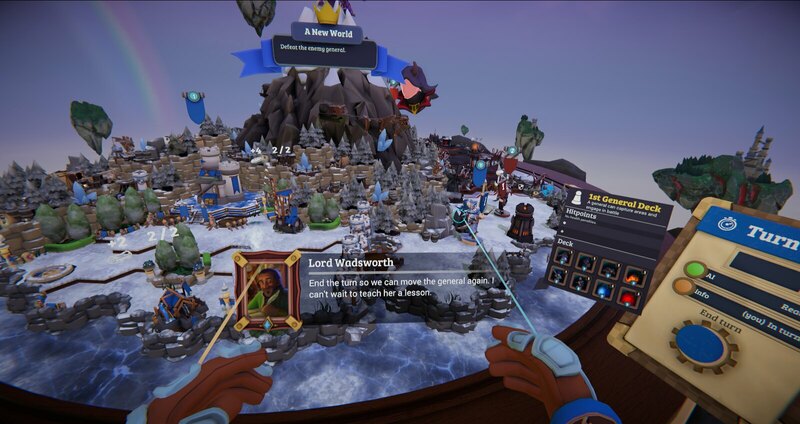 Obliterating your friends in multiplayer will have an even more permanent, shove-it-in-their-faces effect with the all-new multiplayer features that we have added to Skyworld PS VR. A persistent leveling system will have you earn XP based on your single player and PvP victories and completing the game’s all-new daily challenges. Level up to unlock special avatars an earn a place on the new Skyworld PS VR leaderboards. Can you stand among the global top 10? If you prefer to wage war in single player, Skyworld offers a full-sized single player campaign that has you start out with a small but growing army on a royal conquest across all Skyworlds. In a place where worlds dot the sky like stars – worlds with cores of magic, old as time through very much alive – demons have spilled into the once prosperous planets driven by a lust for their magical power. It’s up to you to deliver them from darkness. Skyworld heads to war on PlayStation VR on March 26th, 2019. We hope to see you on the battlefield! And the PS Vita button is gone. Thanks for destroying one of the best portables of last generation Sony. 7-8 year old system that barely anyone develops major games for anymore because the hardware is so massively out of date, to the extent that Sony is finally about to ending production and support on them, but sure, them not having a button for it on the blog DESTROYED IT! So while I agree somewhat that Sony abandoned the Vita from a 1st party and marketing perspective years ago now, I would say PS fans were ultimately MORE responsible for Vita’s demise. PSP sold over 80 million units worldwide! Vita didn’t even hit 20 million! Where were did all of the portable PlayStation fans go? 3DS? Mobile? Who knows but they sure as hell didn’t support the Vita! I did and most of my PS fan friends did too but there was certainly a MASSIVE drop off from the PSP for whatever reason. Looks interesting, but after the state Arizona Sunshine released in, not gonna be rushing to buy this until some patches come out. Honestly read that as Skyrim VR instead of Skyworld. I am just glad it has a single player version because the multiplayer causes too much lag we literally have to take turns in my house!